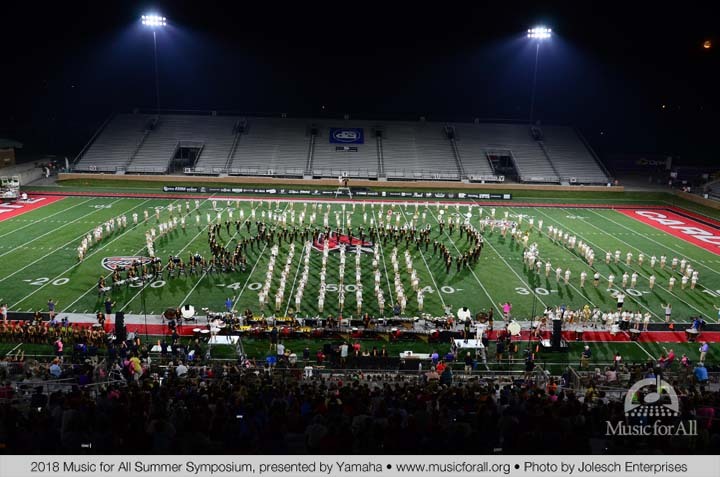 It was a hot one as we geared up for our last full day of camp while the Marching Band and Marching Percussion Divisions’ prepared for their performances at the Drum Corps International Central Indiana show, United Sound worked with Peer Teaching, the Orchestra students played for the Muncie community, as well as the first CITSA Experience at the Summer Symposium. 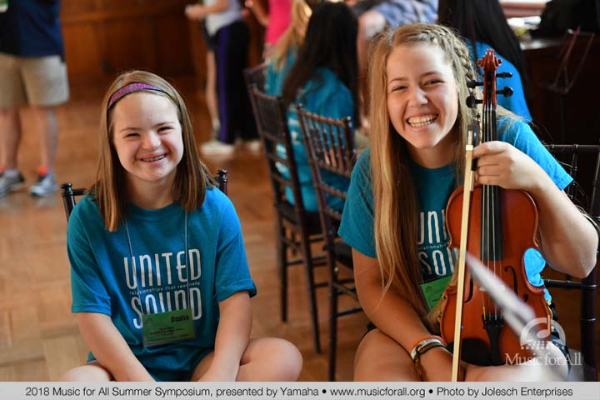 This year, the Music for All Summer Symposium Orchestra students piled into buses with their instruments, bound for Canan Commons, a park nestled in the hearts of Muncie’s Historical District. 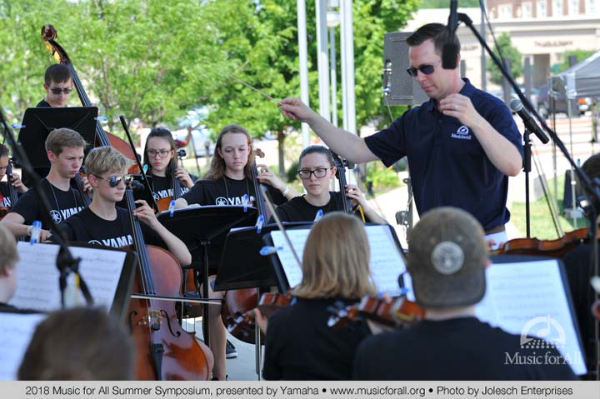 This event was the first in what we hope will become a long tradition of bringing music to the greater Muncie community. 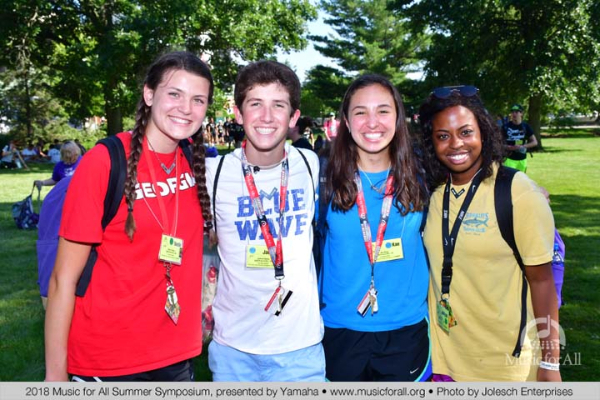 Friday, June 29th, was an amazing day at the Summer Symposium. 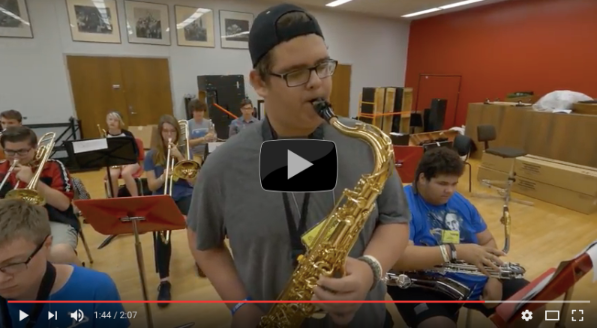 There has been even more activities on campus from the DCI show to the CITSA experience; one of my favorites was being able to attend the Peer Teaching Track and see them put their skills to the test. 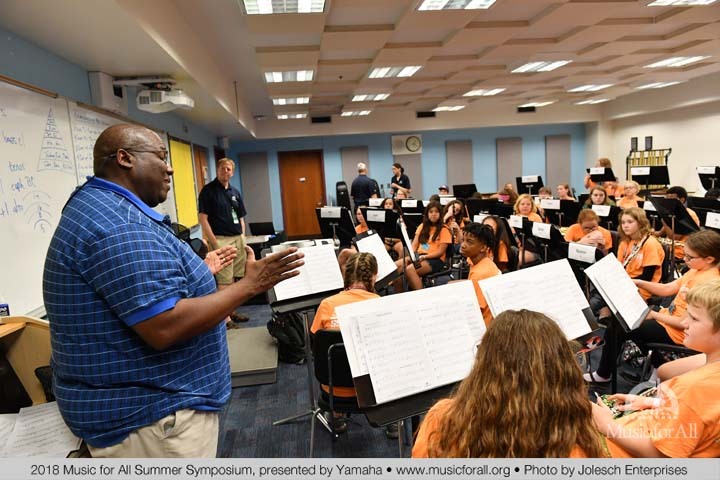 Check out what the Music for All Jazz Division is about at the 2018 Music for All Summer Symposium, presented by Yamaha.